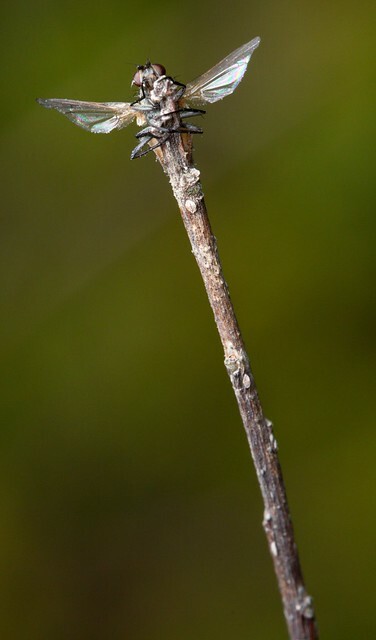 I noticed this fly poised at the tip of a twig and went to see if I could get a picture before it flew off. After a few shots, I realized it wasn't going anywhere. 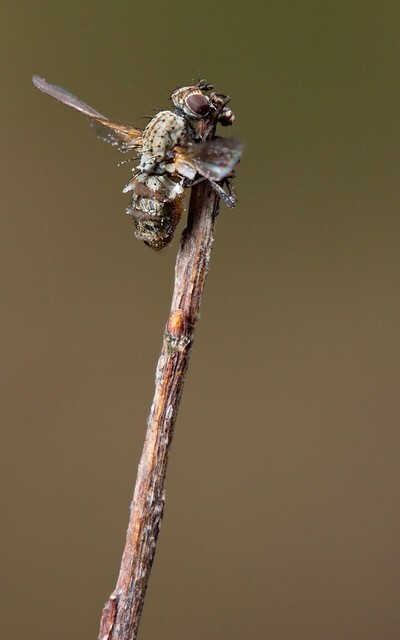 The fly had succumbed to an infection by the fungus Entomophthora muscae, which causes its victims to climb to a high place and adopt a stereotyped posture before dying in a shower of spores. The fungus even chooses the time of death: late evening, so the spores don't dry out in the heat of the day. 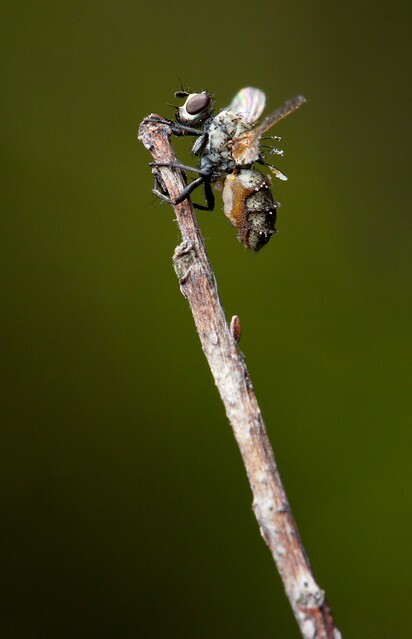 Some of the white spores are still stuck to the fly's bristles, and I believe the wide raised ridges on its abdomen are a result of swelling as the fungus grew inside it.